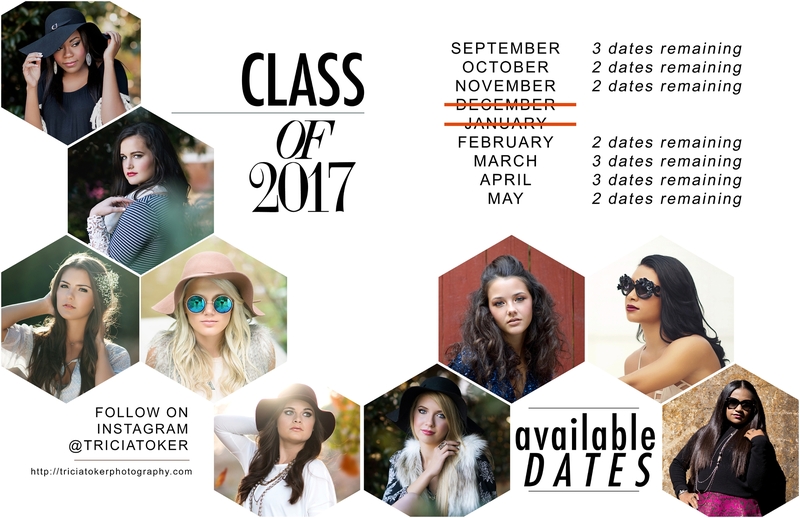 Fall sessions have been super busy, but if you missed out on scheduling your senior pictures before the holidays, don’t worry! Class of 2018, you still have time! 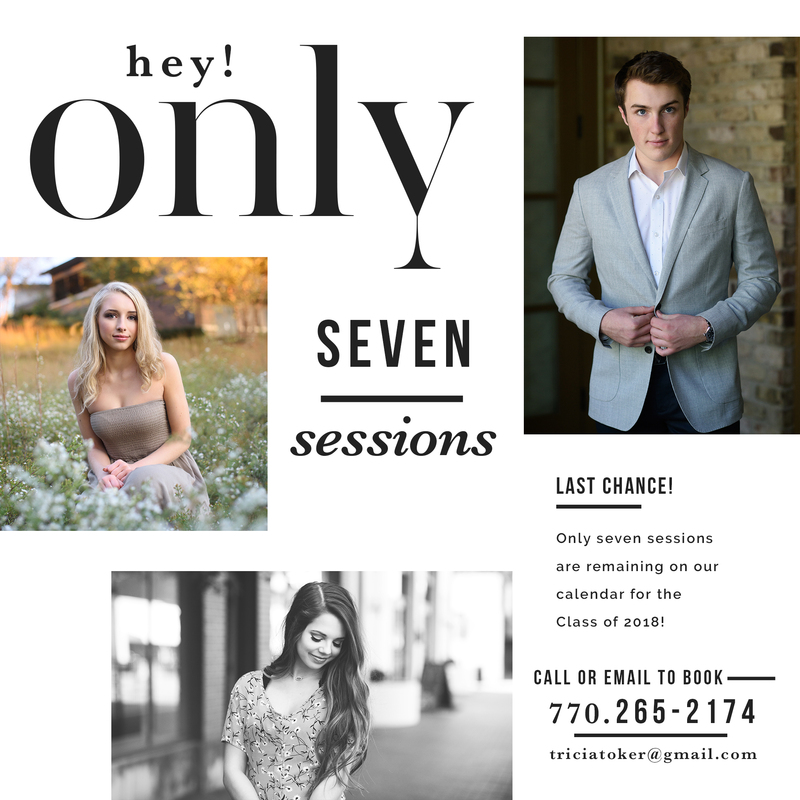 Trust me though, the next few months are going to fly by, so you might want to get your senior pictures scheduled now and grab one of our last 7 spots!! 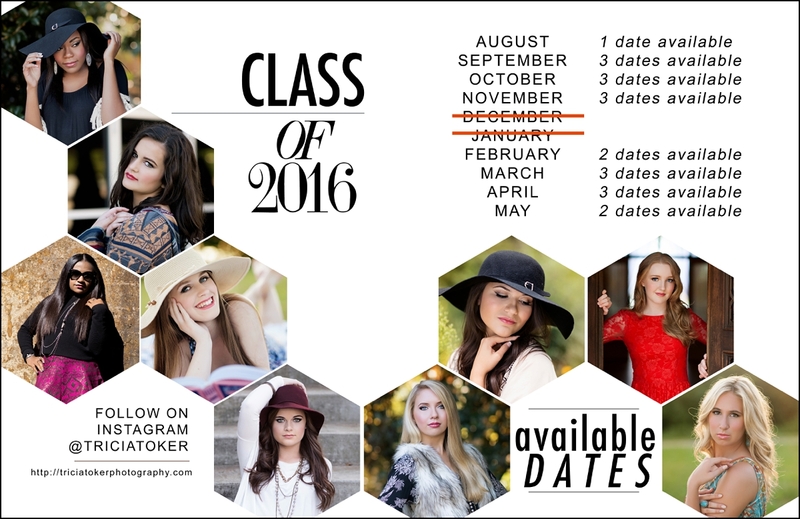 Ready to book your Senior Portrait Experience?! click HERE to contact me! If you want to stay up to date with all the most recent sessions and behind the scenes, click HERE and “LIKE” and also HERE to follow on Instagram! 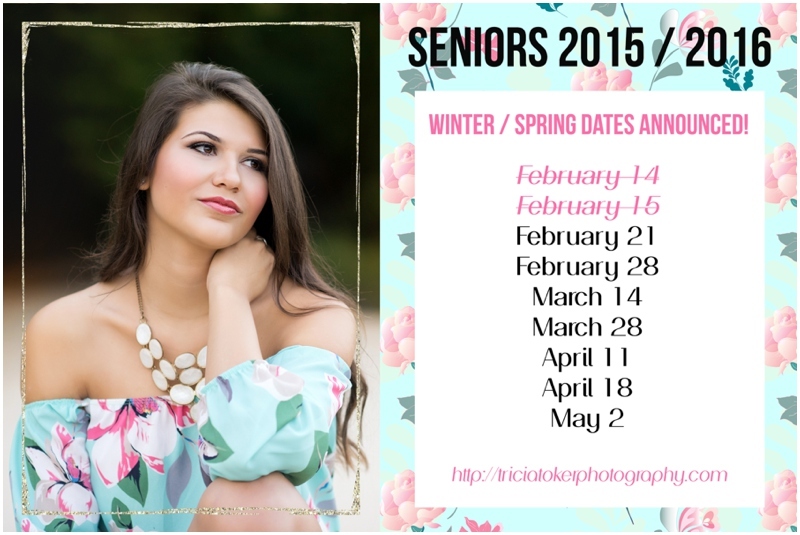 Posted In: Spring Dates Available, Winter Dates Available. Posted In: Fall Dates Available, Spring Dates Available, Summer Dates Available, Winter Dates Available.